Joshua S. Bauchner is a partner with the Firm and Co-Chair of the Litigation Department, head of the Cannabis Law Practice Group, and a member of the Community Association Law and Bankruptcy practice groups. 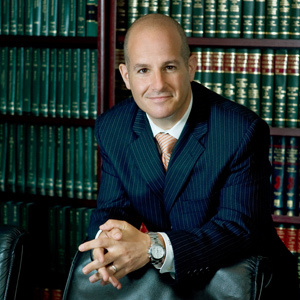 His areas of concentration include complex commercial, class action, bankruptcy-related, and securities litigation, including: enforcing commercial lease agreements, guaranties, purchase and sale contracts, and commission agreements; litigating partnership disputes; defending against class-actions arising from alleged violations of consumer protection and related statutes; litigating claims arising from bad faith denial of insurance coverage; and defending against commercial foreclosure actions. Prosecuted construction and design defect claims against sponsor, developer and architect of a luxury condominium building in New York City. Prosecuted bankruptcy trustee’s claims for fraudulent conveyance, business torts, and a violation of the Bank Holding Company Act, against more than 40 commercial and investment bank defendants. Defended a landlord against business interruption and related claims arising from the 1993 terrorist attack on the World Trade Center. Obtained favorable settlement for an institutional investor asserting securities, Blue Sky, and related common law claims against commercial and investment bank defendants. Defended Boston-area hospital against medical malpractice and related claims seeking $50 million in damages by obtaining a dismissal on personal jurisdiction grounds which was affirmed by the Second Circuit on appeal. Prosecuted institutional investors’ securities, Blue Sky and related common claims against placement agents, auditors, rating agencies, and corporate insiders in a multidistrict litigation proceeding. Defended corporate clients against securities fraud claims brought by the SEC, DOJ, and class plaintiffs. Represented an NFL franchise in its attempt to secure a new stadium on Manhattan’s West Side. He also has taught as an adjunct professor at Brooklyn Law School and was appointed by the Manhattan Borough President to serve on Manhattan Community Board 10 where he was Treasurer of the Board and Co-Chair of the Committee on Land Use. He also is President of the Wheaton College Alumni Association and serves on the College’s Board of Trustees. He also serves on the Boards of the New York Theater Ballet, Frederick Douglass Boulevard Alliance, and Harlem Wellness Center. Client Alert: New Jersey accepting applications for up to six new, vertically integrated, medical marijuana facilities. Class Action Suit filed against Welch Foods, Inc. & The Promotion in Motion Companies, Inc.